It's crunch time in the Capital. 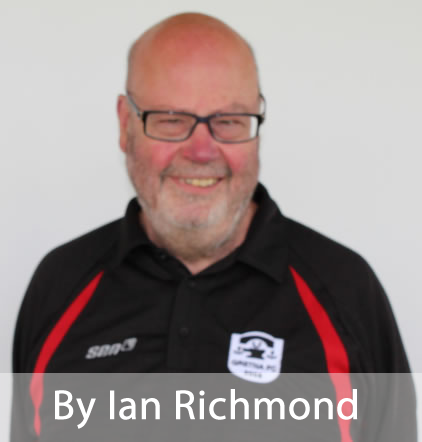 The unmovable object, Edinburgh City, unbeaten in the League this season, meets the irresistible force, Gretna FC 2008 on a 9-game winning streak. 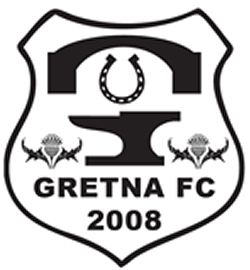 Gretna have scored 42 goals in their last 9 games and are still scratching their heads how they managed to lose the previous encounter 2-0 at Raydale. City have a healthy lead at the top of the league and games in hand. Gretna have beaten their two bogy teams in their last two matches, Edinburgh have yet to play this year and didn't win a game in December. Excitement mounts! A limited number of seats are available on the team bus to Meadowbank Stadium, Edinburgh on Sat 10th January 2015 for our Scottish Sun Lowland League tie against Edinburgh City. To book your seat please email Craig Williamson confirming how many seats you need and where you intend to get on the bus. Robert McLean, a 17 year old defender from Langholm and Dylan Neil, an 18 year old forward from Annan, have been signed on 'Development Transfers" from Queen of the South. This new form of transfer means that they can play for Queen's in the development league (reserve / youth league) but still turn out for us on a Saturday. Going the other way, the club would like to confirm that Jamie Greenall, Steven Rudd and David Renyard have now left the club. Nick Cassidy's loan period ended at the New Year and he has returned to Queen of the South. We wish all of them the best for the future and we will look with interest at their further careers.